When it comes to the luxury mattress market, there just hasn’t been a whole lot of change within the last 10 years. If you wanted a luxury mattress, you bought Tempurpedic, plain and simple. However, the last year has seen an explosion of new mattress companies. These new companies are challenging the status quo and refusing to accept that Tempurpedic is the only name in luxury. Loom and Leaf has certainly created a great mattress, but how does it really stack up against Tempurpedic? 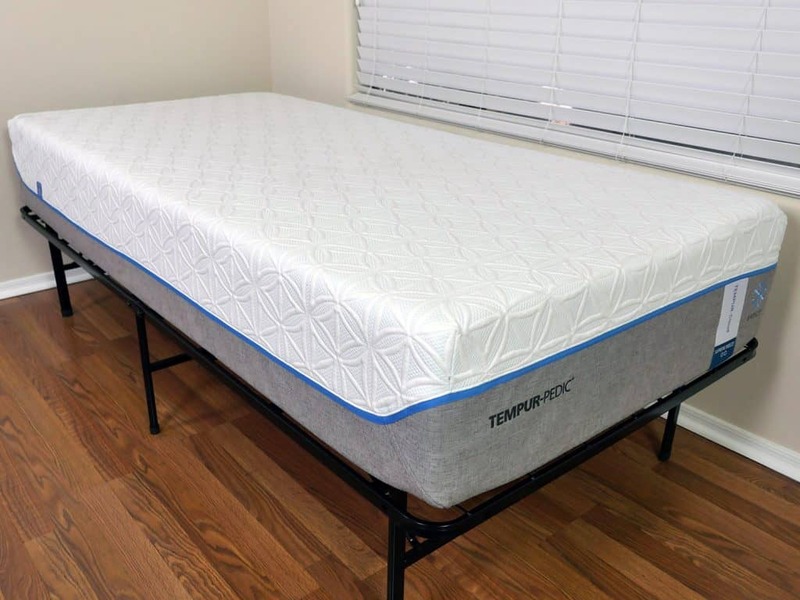 Keep reading below for our full mattress comparison review of the Loom and Leaf vs. Tempurpedic Cloud Supreme Breeze mattress. In a rush? Jump down to the quick mattress comparison chart and final summary to see who came out on top. The Loom and Leaf mattress is 12″ thick and comprised of 4 different foam layers. 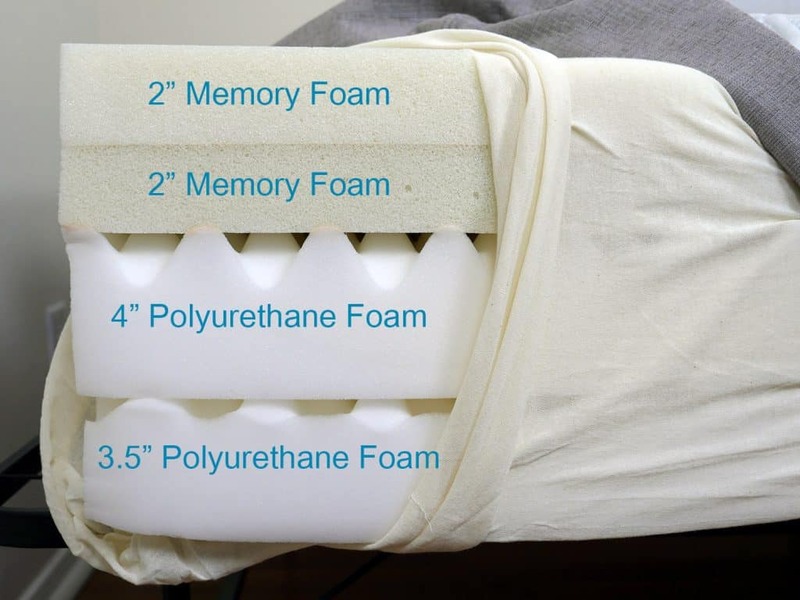 Top layer, 2.0″ of gel memory foam – this is a 4 pound memory foam that has been infused with cooling gel. The gel helps to absorb body heat and continually dissipates it out the side and bottom of the mattress during the course of the night. Lamented on top of this gel foam layer is a gel spinal cooling pad. It does an extremely good job of lowering the temperature of the mattress. Second layer, 2.5″ of memory foam – this is a 5 pound memory foam. It is responsible for providing that deep compression support, while also reducing pressure points on your body. Third layer, 2.0″ transition poly foam – this layer helps the two layers above and one layer below work together to provide great support, comfort, and body contouring. Bottom layer, 5.5″ support foam – this is a high density breathable support foam that acts as the foundation of the mattress. It simply provides a great base for the above layers. The cover is extremely nice. It’s crafted from 100% organic cotton. As such, its got a really nice softness and breathability. From an aesthetic perspective I really like the look of the Loom and Leaf. Gold lettering on the embroidered portions and gold trim give it a luxurious, yet subtle look. Quilted within the cover is an additional mini foam layer. It’s quilted with a 5/8″ soft foam. This layer helps add a great softness and feel to the cover and top portion of the mattress. In addition, Loom & Leaf recently made a change to their cover, creating a more supportive midsection. In order to do so, they tightened up the stitching and quilting of the lumbar section and left the head and toe of the mattress the same. This change allowed for less sinkage within the lower back and torso area and a higher level of support throughout those areas. The head and toe remained virtually the same, maintaining an enjoyable level of cushion and pressure relief. Finally, the Loom and Leaf uses all natural thistle within the cover. This acts as a flame retardant and is a great alternative to chemical based flame retardants. The Loom and Leaf has two different degrees of firmness. The L&L Relaxed Firm option sits at a 5.5 out of 10 on the firmness scale (where 10 is the most firm). They also offer a firmer option, the L&L Firm, which is an 8.5 out of 10. This gives you a fairly wide breadth in terms of firmness. For sleepers who like a mattress in the 5-8 range, you’ll probably be happy with the firmness level. In terms of overall feel, I would describe the Loom and Leaf as quite balanced. There is 2.5-3″ish of sinkage in a normal lying position. This mattress has great body contouring and the results in well rounded support. Unlike traditional memory foam, the L&L does a good job of allowing you a little sinkage + body contouring, but the mattress doesn’t envelope you and become a heat retention trap. The most impressive attributes of the Loom and Leaf are its cooling features. The designers have gone through great strides to ensure maximum cooling. Read the full Loom and Leaf mattress review here. 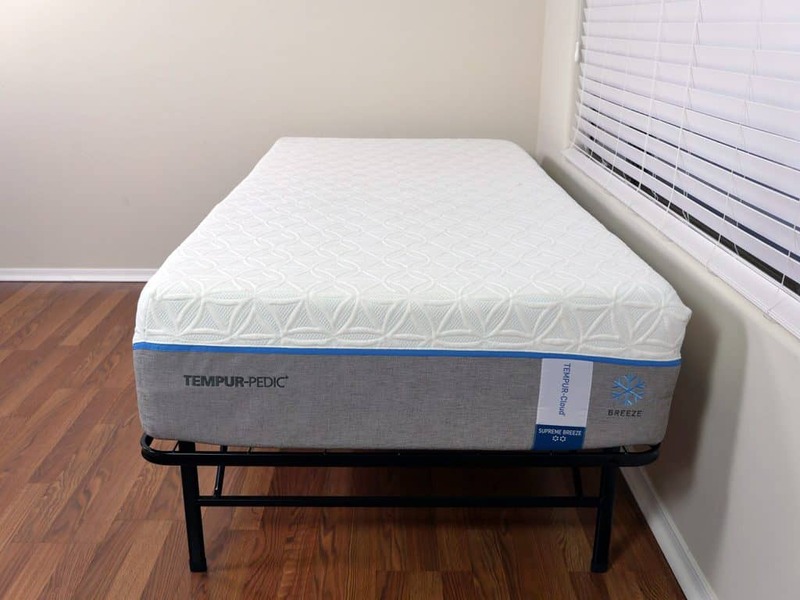 The Tempurpedic Cloud Supreme Breeze mattress is an all foam mattress built from 4 different layers, totaling 11.5″ in height. Top layer (comfort) – 2″ of visco elastic memory foam. As a softer foam, the top layer of this mattress works to provide the classic Tempurpedic hug and sharp contour that these mattresses are known for. 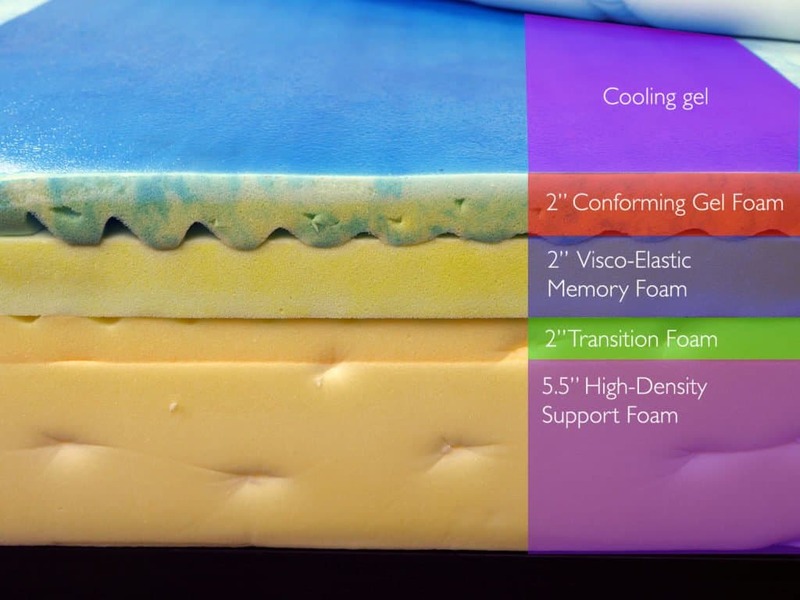 Second layer (comfort & support) – 2″ of visco elastic memory foam. This foam is slightly firmer than the layer above, therefore working to provide some support for the sleeper while still offering a degree of comfort. This layer also helps ease the sleeper into the more dense foams below. Third layer (support) – 4″ of polyurethane foam. The third layer acts as the primary transition layer from the comfort foams above to the more supportive, foundational foams below. Bottom layer (support & foundation) – 3.5″ of polyurethane foam. The bottom layer acts as the deep compression support and foundational base for the mattress all together. The Cloud Supreme Breeze cover seems to be very well made. Consisting of a blend of polyester (94%) and spandex (6%), the cover comes together for a nice, soft, and flexible feel. Additionally, the cover embodies a two-tone, grey / white color scheme, broken up by a thin blue strip. Although it may seem small, the blue line around the perimeter of the mattress does a good job of adding some flare to the cover as a whole. Constructed from Tempurpedic’s Breeze material, the top piece of fabric used on this mattress works to regulate body temperatures throughout a sleep cycle. For example, if you begin to heat up the mattress will try to cool you back down and vice versa. In addition, the cover is thin, also helping to improve airflow in and out of the mattress. Finally, only spot cleaning is recommended with cover of the Cloud Supreme Breeze, but you do have the option of removing the white piece of fabric and washing it. In terms of firmness, Tempurpedic rates the Cloude Supreme Breeze at medium rating. Firmness is always a difficult area to judge because it is inherently subjective. I would rate the Cloud Supreme Breeze at a 5 out of 10 on the firmness scale (where 10 is the most firm). This makes it a slight degree softer than the Loom and Leaf. As this mattress is fairly soft there is a high degree of sinkage. I’m around 140 pounds and sink 3-3.5″ into the mattress. Heavier sleepers will certainly see a more pronounced sinkage. Deeper sinkage can result in heat retention and the mattress “sleeping hot”. If you’re a heavier sleeper, make sure you take this into consideration. Even with the TEMPUR-Breeze material, heavier sleepers may find the level of sinkage to be too much once the foams have began to wrap around them. Overall support of the mattress is good, provided you like the level of firmness. That said, I did feel as if the mattress was a touch too soft while sleeping on my stomach. My hips sank more than I would’ve liked, creating an uncomfortable angle along my lower back. My wife sleeps primarily on her back and shared a similar experience. The mattress was simply too soft for her liking. Heavier back and stomach sleepers my find this mattress to be a good fit, but as lighter sleepers, we felt as if there was just too much sinkage around the bottom halves of our bodies. Yet, sleeping on my side felt like a home run. I have no complaints with the Cloud Supreme Breeze and side sleeping. Very good pressure relief and consistent spinal alignment allowed for a good night’s sleep all in all. While there was essentially no bounce with this mattress, I did enjoy the mattresses ability to dissipate motion transfer. Although we tested a Twin XL Cloud Supreme Breeze, I was able to test the motion transfer by dropping 12 pound medicine balls at a few different spots on the mattress. Final verdict, the mattress did an excellent job of absorbing the energy that the medicine balls tried to create. I am confident that sleeping with a partner would result in the same experience. All together, I’m a fan of this mattress. While I may not have fully enjoyed the support and sinkage in certain positions, sleeping on my side proved to be a positive experience. That said, I find it difficult to get past the high price points associated with this mattress. Personally, I do not believe there is a mattress that is worth the amount of money that Tempurpedic charges for this model and the rest of their line. Should you buy the Loom and Leaf or Tempurpedic mattress? If this comparison review seemed a bit one sided you’ll have to forgive me. Quite frankly, I was just blown away. Not only by the quality of the Loom and Leaf mattress (which is exceptional), but more by the lack of material transparency from Tempurpedic. In this age of transparency and openness I cannot understand Tempurpedic’s decision to not provide the specs on their construction, layers, and materials used. 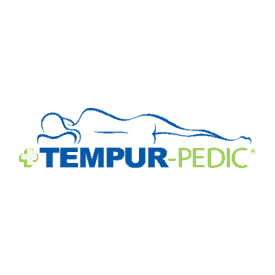 In my opinion, I don’t feel like any consumer could make a truly informed decision on the Tempurpedic without this information. That said, even without knowing the exact material break down and foam densities of the Tempurpedic it is fair to say it’s an excellent mattress. The overall construction is very well put together, the cover has a cool to the touch feel (at least initially), and foams do appear to be quality (however, I really would like to know the respective density of each layer). In terms of overall performance for my sleep tests the Tempurpedic was wonderful. However, the same is true of the Loom & Leaf. It is an excellent overall performer, has a great build quality, and uses quality foams where the densities are clearly defined. Loom and Leaf takes it a step further with the organic cotton cover, natural thistle fire barrier, and plant-based foams, as well. If we excluded price as a factor and also assume the Tempurpedic foam densities are comparable, this would be a close mattress battle to call. However, both price and material transparency are critically important, in my opinion. As a result, the Loom and Leaf is the clear runaway winner for this mattress comparison. 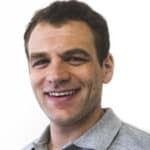 Why is Loom and Leaf a great choice? Transparency – you know exactly what the mattress is made of, from the foam layers to the cover, every detail of the material construction is clear and upfront. Comfort – Loom and Leaf has done a good job of building a balanced mattress that’s enjoyable for most sleepers. Having 2 firmness levels is also a nice touch that further increases the number of sleepers that could enjoy the Loom and Leaf. Cooling – great cooling features from top to bottom, one of the most cool memory foam mattresses I have slept on. Price – it is not even a contest, Loom and Leaf crushes Tempurpedic. The Loom and Leaf Queen size is $2,500 cheaper and the King size is $2,800 cheaper than the Cloud Supreme Breeze. If you’re on the fence between Loom and Leaf or Tempurpedic I would recommend just giving the L&L a try. You have a 120 day trial period. Worst case scenario you try the Loom & Leaf, don’t like it, return it, and then get a Tempurpedic. Best case scenario…you love the Loom and Leaf and you also save yourself $2,500+. It’s a no brainer. 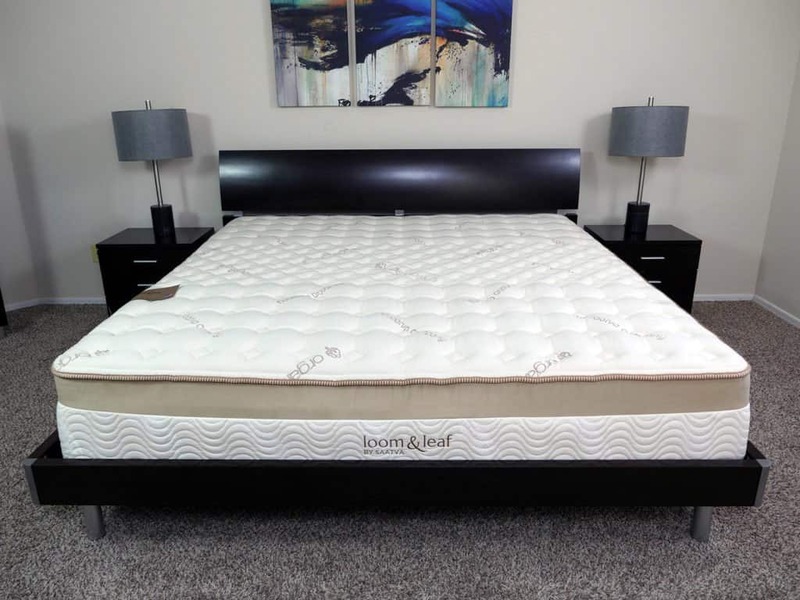 For more information read our comprehensive review of the Loom & Leaf mattress. All that said, the Tempurpedic is still a great mattress by any standard. I do wish they would be more clear with the materials, but in terms of overall performance it’s a very solid memory foam mattress. You’re a fan of the medium feel – the Cloud Supreme Breeze comes in at a 5 out of 10 on the firmness scale, where 10 is the most firm. 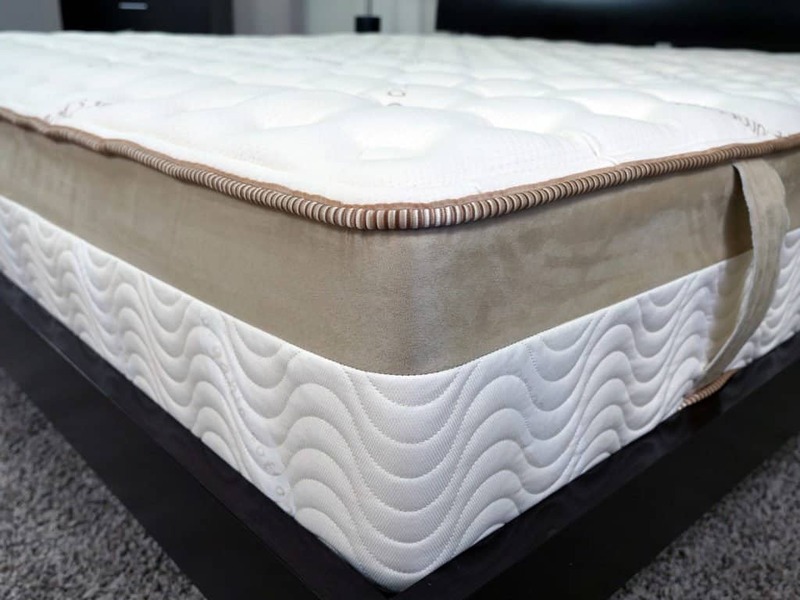 You enjoy a pronounced level of sinkage and hug – with a memory foam construction, slightly softer feel, and thin cover, this mattress is built to allow sleepers to sink more deeply and create a notable level of contour around your body. Money is no object – at $3,599 for a Queen size Cloud Supreme Breeze, I just don’t think this mattress is worth $2,500+ more than the Loom & Leaf. That being said, if money is not of any concern, then my objections are irrelevant. For more information make sure to read our comprehensive review of the Tempurpedic Cloud Supreme Breeze mattress.